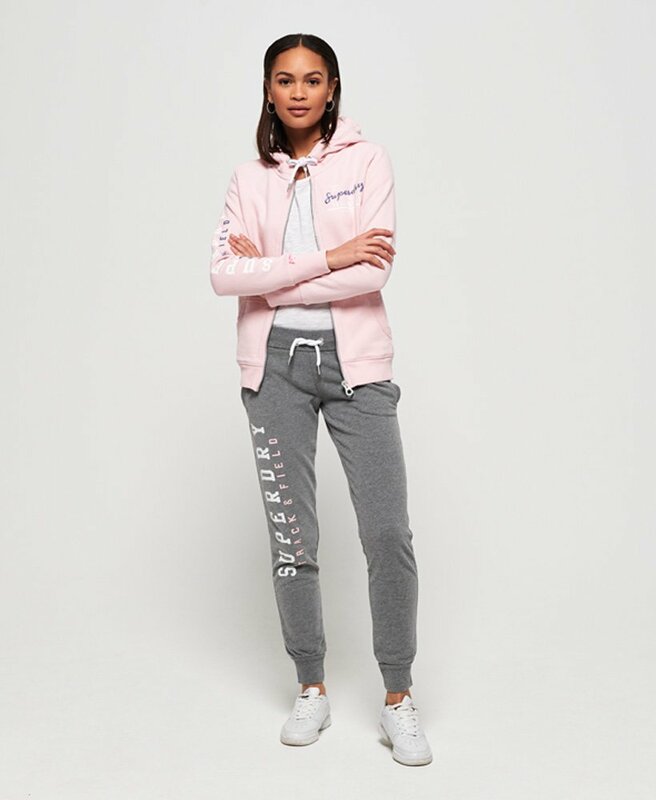 Superdry women’s Track & Field joggers. A twist on the classic, these joggers have been crafted to a lighter weight making these a perfect transitional piece this season. They feature a ribbed draw cord waistband and ribbed cuffs, as well as two handy pockets. For the finishing touch, these have been completed with a Superdry logo down the leg.